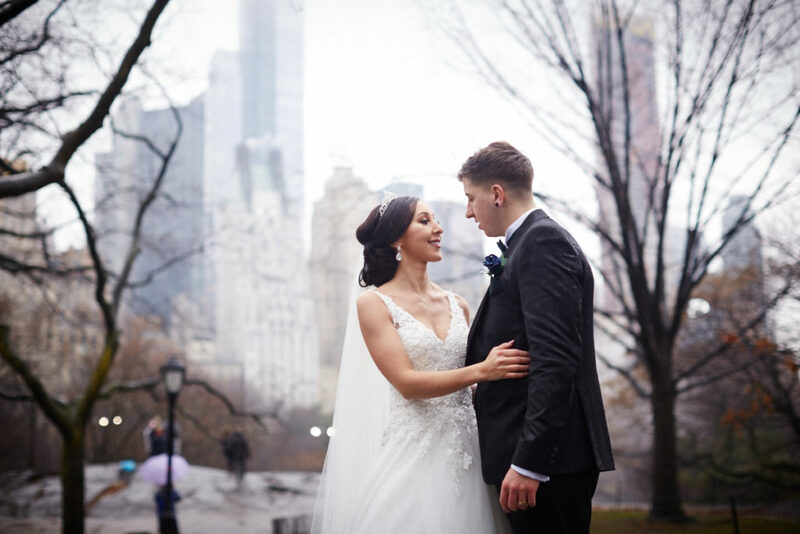 New York City has become a popular “destination wedding spot” for couples from abroad. 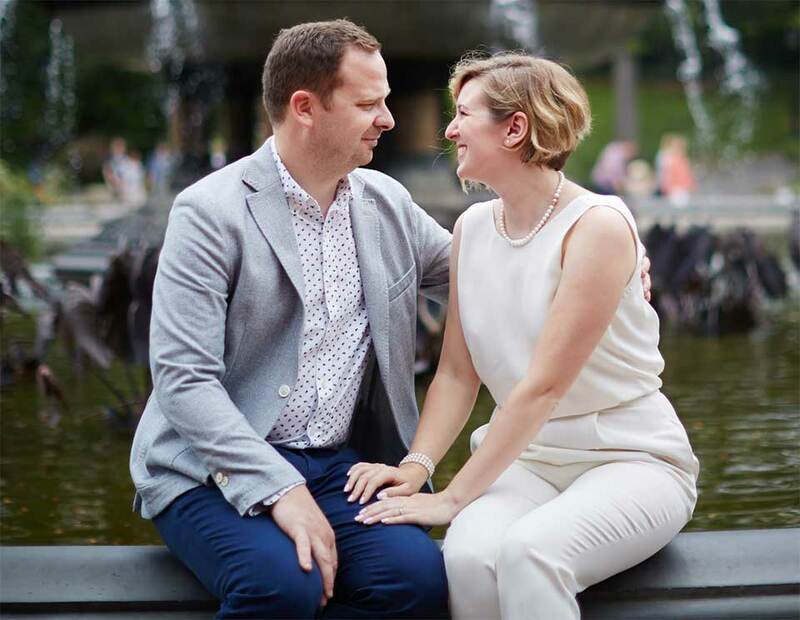 Many of the Simply Eloped couples, coming from abroad (such as those from the U.K.) require the “Extended Marriage License” (or Apostille) rather than the short-form license used by American couples. Essentially, the Extended Marriage License is something of a “deluxe” marriage license, which includes not only the signature of the New York City Clerk (as all licenses do), but validations of the New York County Clerk and the State Clerk, along with a Raised Seal with Hand Signature of the State Clerk. Basic Identification, such as a passport, is needed to complete the process—a birth certificate is not needed. If either of both members of the couple has been previously married, divorce decrees should be available for presentation. A “pre-application” process may be initiated, prior to the visit to the clerk’s office, to hasten the process once you arrive in New York. This online application is valid for 21 days. After completing the process, you will leave the clerk’s office with a single page white form—the marriage license—which you will bring to the wedding license to the ceremony where each member of the couple signs the license (no ID is required at the wedding). The officiant will fill out a portion of the license including her address and details about the ceremony such as the date, time, and location of the wedding. Your officiant should also include her officiant registration number, issued by the Clerk’s office, to streamline the paperwork process. There is space for two witnesses to sign the license, although only a single signature is legally required on the document. Witnesses will not only sign the license but will include their postal address. There are no citizenship requirements to serve as a witness, and witnesses need not present ID to sign the document. Once the license is complete, You are married! For those needing only the regular marriage certificate, such as individuals from Canada and Australia, the officiant will make a digital copy of the license and return the license to the Clerk’s office (by postal or certified mail). A final marriage certificate will be mailed, by post, to your home address as given to the clerk’s office at application time. The clerk’s office suggests that it may take 6-8 weeks for that certificate to arrive. Remember, you are already married, this is just final documentation for your records. 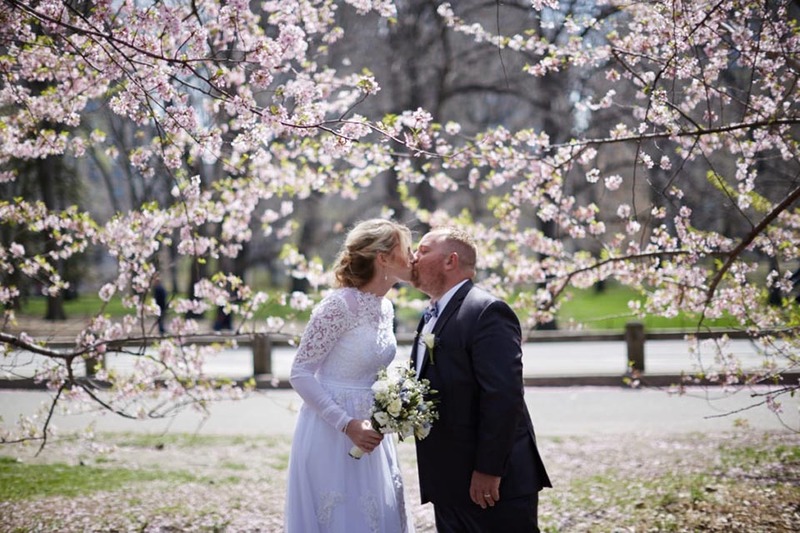 If a couple wishes to have the certificate in hand before leaving New York, the officiant can surrender the license to the couple (after a digital copy is made!). One or both members of the couple will physically return the license to the Clerk’s office (141 Worth Street) and obtain the certificate immediately. This must be done within 5 days of the ceremony. As an aside, some couples find they may need the certificate immediately following the wedding for personal matters, health insurance enrollment, travel papers, or for other reasons. It is important to consider your personal needs and decide accordingly. For, after the license is submitted by mail, there is no way to intervene in the process to “speed up” processing of the document. For those needing the extended license, we recommend that the couple allow time in their schedule to take care of this before leaving New York. Again, this process must take place within 5 days of the ceremony. Please note that the Clerk’s office is closed on the weekends and for government holidays. Upon returning to the Clerk’s Office (on Worth Street), a couple will be carefully guided through the process by staff. As this is a common task, the Clerk’s team is skilled at helping you take care of this in an efficient, timely fashion. The marriage license, signed at the wedding, will be relinquished to the clerk’s office for a marriage certificate. There is a $35 charge for this process and credit cards are required. This certificate will contain the City Clerk’s signature. The second stage of the process is to obtain a short attachment, to the certificate, that contains the County Clerk’s signature. This will entail going across the street, to the courthouse to the appointed room, and submitting the Certificate you’ve just received. There is a nominal charge of $3 for this attachment. Cash or credit cards are accepted. The application will be filled out with your name and the country where the Apostille will be used. There is a $10 fee for this seal and signature, which must be paid by personal or certified check. Your hotel concierge can assist with locating a bank or other institution that will issue the check. There is some wait time for all stages of this process, so we encourage people to allow up to two hours for the process. If your travel itinerary does not allow time to take care of the process, your officiant can provide you with a letter stating that you authorize her to complete this process on your behalf. That letter must be notarized. Most fine hotels will have a notary on staff. Should they not, local banks can handle the request for a nominal fee. There will be an extra charge for the officiant to provide this service, plus reimbursement for the above-mentioned charges, and proper postage. If you are unaware whether you require an Extended License/Apostille for your country of origin, please consult with your officiant. Article written by Officiant Sarah Ritchie.